We believe everyone should have access to high quality affordable health care. As healthcare costs continue to rise, more people are forced to lower their quality of living in order to offset medical expenses. In a recent national study: “Seven in ten report cutting back spending on food, clothing, or basic household items (seventy-three percent) [...] in order to pay the bills.”* These experiences are profoundly amplified among those in the nonprofit sector, who often earn less than their counterparts in the private sector. This trend is unsustainable. Founded in 2012, Nonstop Administration and Insurance Services believes that everyone should have access to high-quality, affordable healthcare. Our health insurance program, Nonstop Wellness, is built to support the nonprofit sector. Why? Because nonprofit employees shouldn’t have to choose between their physical health and financial wellbeing. Traditional healthcare options leave much to be desired, and nonprofit organizations are being forced to either reduce benefits to employees, increase costs for employees, or both. Any other health insurance model, such as self-funding, was considered out of reach to nonprofits due to the model’s high-risk levels and financial barriers to entry. With our insurance program, Nonstop Wellness, organizations with 50 or more employees on benefits can get the best of both worlds—resulting in reduced costs for organizations and improved employee benefits. At Nonstop, we believe that everyone should have access to high-quality, affordable healthcare. Our health insurance programs are built to support the nonprofit sector because nonprofit employees shouldn’t have to choose between their financial and physical health. Areas Served by Nonstop Administration & Insurance Services, Inc. Team at Nonstop Administration & Insurance Services, Inc.
David has a strong commitment to human rights, healthcare advocacy and environmental awareness. 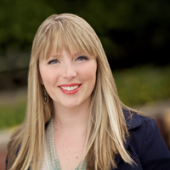 Kristin oversees marketing, sales and strategic outreach for Nonstop. Scott has more than 20 years of experience from many companies as founder, CEO/CFO and board member. Natasha is proud to be the Community and Client Relations Manager for Nonstop. Be the first to review Nonstop Administration & Insurance Services, Inc. Your message has been successfully sent to Nonstop Administration & Insurance Services, Inc.